•	Customers purchasing products and merchandise from the Musto website are going to be able to take advantage of free standard delivery to addresses in the United Kingdom. Express, overnight, and international shipping options are also going to be made available. •	Sign-up for the free email newsletter published by Musto and get immediate access to special offers, deals, and discounts that will not be made available anywhere else. Email members will get presale modifications in their inbox once week as well. •	Follow this company on social media to find out more about special offers and LIGHTNING DEALS before anyone else does. Musto offers a range of apparel and other items. Their main line of products focuses on an ocean theme. Their line of clothing for men includes coats, jackets, fleeces, jeans, footwear, gloves, and more. Their line of products for women includes coats, jackets, sweatshirts, hoodies, caps, hats, scarves, jeans, trousers, and much more. Their sailing collections includes HPX, MPX, LPX, BR2, BR1, LPX Dynamic, Evolution, Junior, and several others. All of their clothing and accessory items are designed to combine form and function in the best way possible. Their clothing items aspire to be fashionable, and the variety of clothing items and accessories is such that you can easily find something suitable. 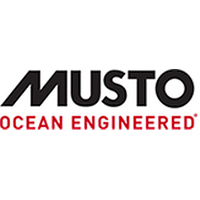 For most up to date offers check out Musto on Facebook and Twitter or contact Musto Support for any questions.